One of the early SF Diggers was recently going through her personal archives and came across these two street sheets from the Communications Company/New York and generously donated them to The Digger Archives. These are rare items—there is no collection of ComCo/NY items as far as I am aware. Communications Company / New York was started by Jim Fouratt (known at the time as Jimmy Digger) in 1967, inspired by the operation model that Chester Anderson and Claude Hayward had started in January, 1967, in San Francisco (which was called Communication [no “s”] Company). 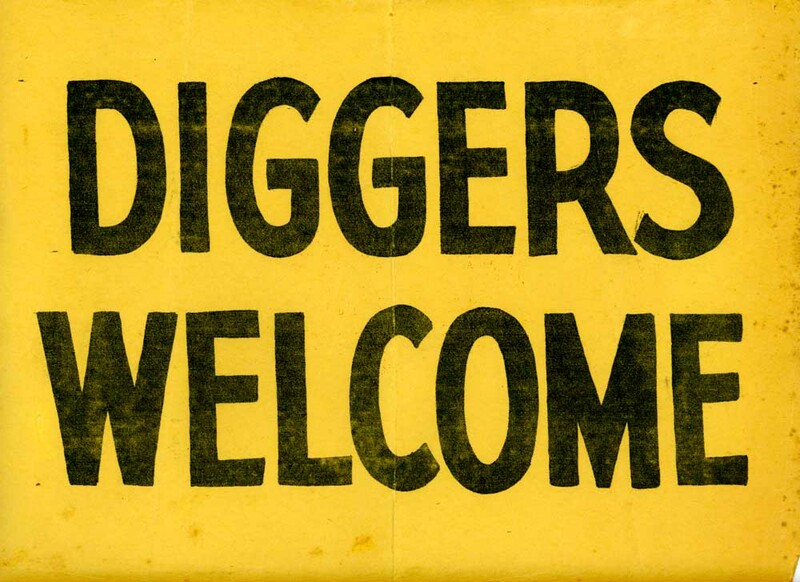 Both groups published street sheets that document the early history of the Digger movement. If anyone has Digger materials in their personal files and are considering their fate, please consider donating to The Digger Archives. The sheet (below) announces the wedding of Anita and Abbie Hoffman in Central Park on June 10, 1967. That our hearts begin to be freed from slavish fear of men, such as you are; and that we find Resolutions in us, grounded upon the inward law of Love, one towards another, To Dig and Plough up the Commons, and waste Lands through England; and that our conversation shall be so unblameable, That your Laws shall not reach to oppress us any longer, unless you by your Laws will shed the innocent blood that runs in our veins. 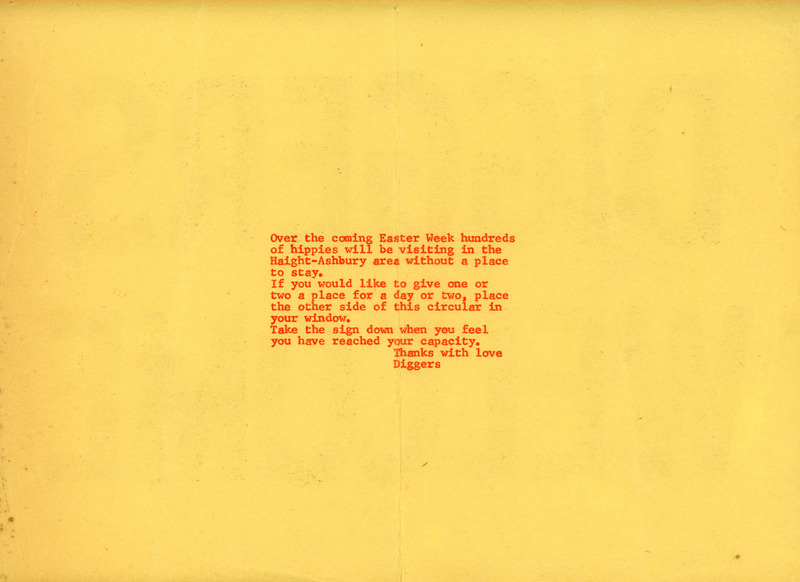 Read more at: the English Diggers page on the Digger Web, the English Diggers Writings, and the Second Digger Manifesto (the above image). This is a photo I took on my last trip to New York City when I brought Billy Murcott to the NY Public Library Special Collections at the Fifth Avenue main branch. They have one of the few remaining copies in existence. My attraction was to the new custom that Stephen had introduced of “four marriage” — the close relationship that he had with Michael, along with Ina May and Margaret offered a semblance of openness to a young queer man like myself at the time. But after 1000s of miles on the road in that caravan of 50+ converted school buses, it became clear that homosexuality had no place in the Caravan’s “four marriages” which seemed all too much like a hip version of wife swapping. So when Stephen announced their return to the road, I decided it was time to find that job which had propelled me out of the bliss of adobe living in the first place. 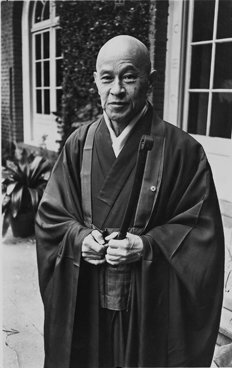 Before the Caravan left again that spring of 1971, Stephen took everyone to the Zen Center for the ritual chanting of the Diamond Sutra and I will always owe him a debt of gratitude for his introducing Susuki Roshi whose twinkling eyes with secret messages of cosmic harmony still come to me in moments of silent introspection. This was March, 1967. Optimism abounding. 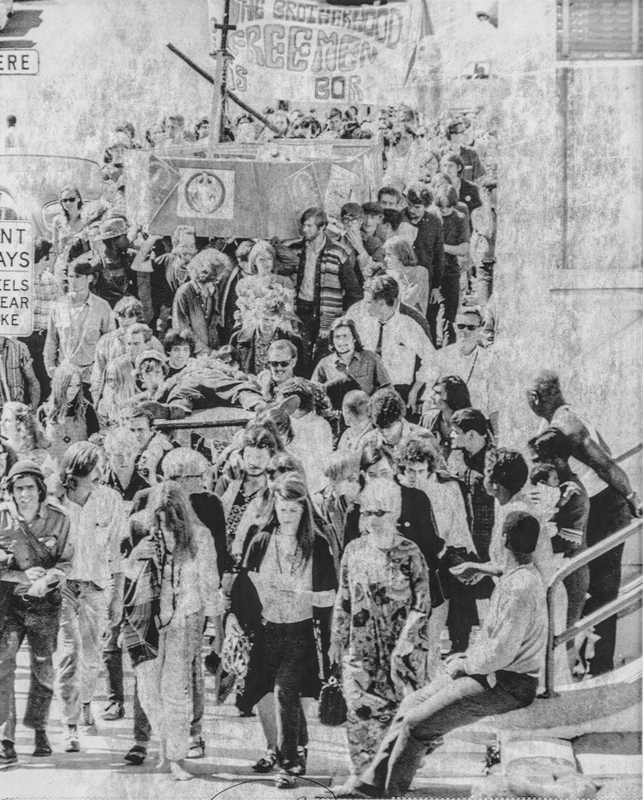 This photo just showed up, taken Oct 6 1967 as the Death of Hippie Parade was winding its way through the Haight after starting out from Buena Vista Park and ending up with the coffin containing artifacts of the media-hyped “hippie” culture burned in ritual observance. I’ve seen various photos of this Digger event, but never one from this perspective. It appears that Linn (aka Freeman) House is in the front row of the marchers. (White shirt, white pants, and likely wearing sneakers.) 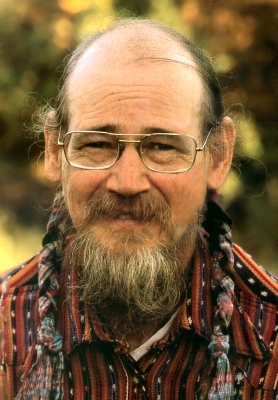 Freeman arrived in the Haight-Ashbury in the summer of 1967 after Chester Anderson convinced him that the Communication Company would be at his disposal for any printing ventures he wanted to undertake. Freeman left New York where he had been editing Innerspace Magazine, and by the time he arrived in San Francisco, the ComCo Gestetners had been pressed into service for the newly named Free City Collective. The “wonderful machines” that Chester and Claude had originally acquired through their good offices with Ramparts Magazine were set up in the basement of Willard Street where Freeman and David Simpson would go on to edit the Free City News sheets and broadsides over the next six months. Freeman House, along with Peter Berg and others, became an important catalyst for the Bioregional Movement which had evolved in part out of the Diggers. Freeman was one of the collective group responsible for developing the model of watershed restoration in their work on the Mattole River in northern California. Even to today, the term “hippie” is disputed by many of those who were at the birth of the Haight-Ashbury counterculture that spread out in the coming months and years after the events of 1966 onwards. On the other hand, there is a group in the Haight who lead walking tours of the neighborhood who are proud to call themselves hippies. The Diggers’ objection to the word was that it was a media-contrived term, slightly derogatory in its etymology, and a handle that “straight” America could use to stigmatize a generation. The purpose of the “Death of Hippie” event was to announce the birth of Free people instead. One item of interest. Look at the attire of the participants. This is months before the “Summer of Love” and most of the onlookers appear to be wearing typical 1960s college attire. Compare this photo to ones several months later in the Panhandle. The man in “wild attire” with umbrella could be considered a cultural virus in this timeline of change. Welcome to the fourth incarnation of the Digger Archives discussion forum, first begun in 1992 at the very beginning of the days of HTML and WWW. This incarnation is a spin-off of the Digger Bread blog, which is now closed—there were actually two spin-offs, the Free Family Union blog, and this, the newly named Digger Feed blog. Why “Digger Feed?” The group of us who named it are a bunch of punsters and the idea of a blog that refers to the old-time Digger Free Feeds in the Panhandle, and at the same time refers to the idea of a news feed, well the double-entendre was too seductive to pass by. Why “watering hole”? That’s what the Digger Discussion Forums have been over the years. A place for like-minded folks to chat, to mingle, to wrangle, to commiserate, to celebrate. This blog will be a bit different from other blogs. If a reader wants to simply “comment” on posts (the main messages on this page) just include your email address the first time you add a comment. Ever after, you will be able to comment without needing to get your comment approved. However, if anyone would like to have the option of becoming an “author” which means the ability to create new posts, you will need to register using a WordPress account. Once you are registered, you can then create new posts, and leave comments to your heart’s desire.